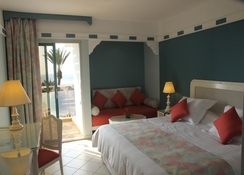 LTI Agadir Beach Club is a 4-star all-inclusive hotel located on the beautiful Agadir beachfront. Nestled amidst lush gardens and with an outdoor swimming pool surrounded by palm trees, sauna, hammam, massages and free Wi-Fi, the hotel invites guests to have a relaxing time with warm Moroccan hospitality. The well-appointed air-conditioned guestrooms provide excellent views of the gardens, swimming pool or sea and come with a satellite TV and private balconies. The establishment features five superb restaurants that serve local and international cuisines. 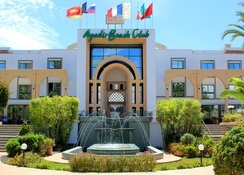 LTI Agadir Beach Club is located just 1km from the N1, connecting to Agadir’s Grand Port. The hotel is barely 1km from the Amazighe Heritage Museum. The Agadir International Airport is about 23km from the hotel. 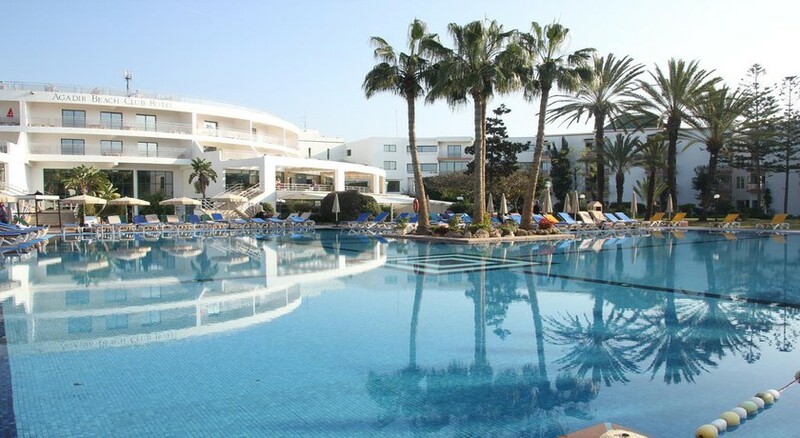 LTI Agadir Beach Club has 450 rooms in two categories – double rooms and suites. The well-appointed guestrooms come with amenities like air conditioning, satellite television, telephone, free Wi-Fi, mini bar, hairdryer, bath or shower. The hotel has a clutch of fine-dining restaurants and bars. L'Oasis snack serves International, Grill/BBQ for lunch buffet, Le Marrakech is for authentic Moroccan, L'espadon is for fresh seafood, L'International is for international and Le Roma for Italian delicacies. There are also bars, including pool and beach bar where guest can relax with a cocktail. There’s also a beach club. LTI Agadir Beach Club has a swimming pool and kids’ pool and terrace besides access to the private beach. There is a fully equipped gym for those who wish to stay active. There is a lovely spa with steam room and hammam offering massages and therapies. Tiny tots can have fun at kid’s club or playground. The hotel has facilities for darts, table tennis, tennis and billiards. Guests can also shop at the shops on-site. There is lively evening entertainment and a nightclub too.